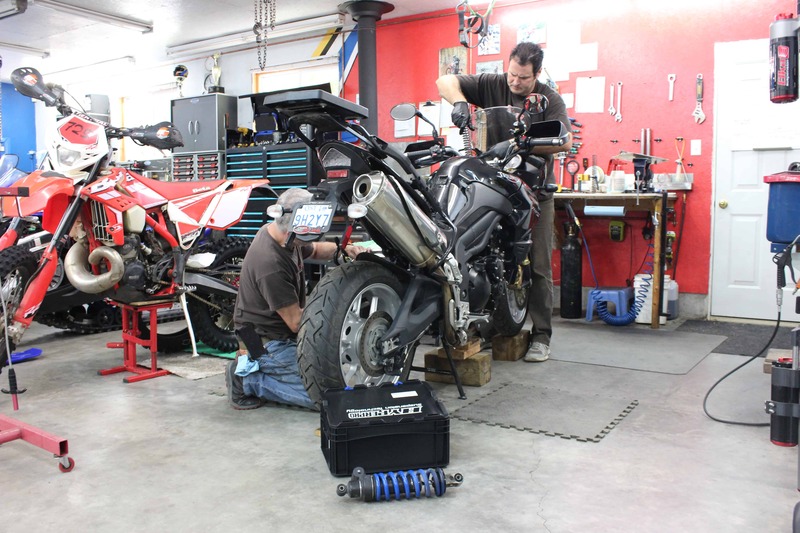 This Tech column deals with the most common issues that affect a motorcycle’s braking performance. 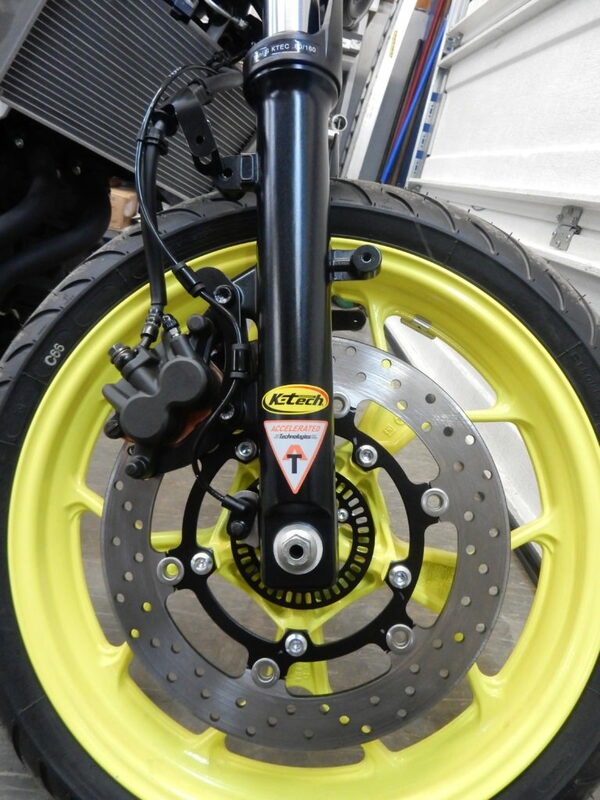 One of the most important aspects of your motorcycle is the braking system. From a safety standpoint, having a proper working, reliable braking system is critical. Hydraulic Brakes seem simple enough, you actuate the Master Cylinder and brake fluid flows ever so slightly down to the calipers pushing out the pistons. This initial piston movement is done primarily by flow, but pressure is needed in the braking system to overcome the resistance between the seals and the caliper(s) piston(s). Once this slight movement has transpired and the brake pads are firmly against the spinning rotors, additional pressure developed by your fingers (or toes) causes a rise in the system pressure increasing the force that the pads exert on the rotors. Rotational energy is converted into heat (to simplify the physics) and the vehicle slows down. Yes, it is fairly simple. Now, where do you look when there are problems? The most common complaint I will look at here has to be a “mushy” feel at the lever. This spongy feel can be caused by a number of things in the braking system. The first culprit is usually the brake fluid itself. Over time, the brake fluid will become contaminated from dirt getting by the seals, and from thousands of heat cycles. A typical stop from highway speeds down to a stand still will generate a tremendous amount of heat into your braking system. This heat is transferred from the rotors and the friction material of the brake pads, into the metal backing plates on your brake pads, through the caliper pistons, and then into the brake fluid itself. On the racetrack, your brakes don’t get a chance to cool back down before you need them again, so this heat builds and builds. Same goes for stop and go traffic. This problem of heat transfer is compounded by the brake pads wearing out over time. As your brake pad gets thinner, there is less material to insulate the heat from the brake fluid and the peak brake fluid temperatures get higher and higher, possibly boiling the fluid. The end result is the lever feel getting softer, requiring more lever travel to generate the same brake pressure and resulting stopping force. New brake fluid is usually clear or light tan in colour, so if it is dark brown or black, it is overdue for a change. 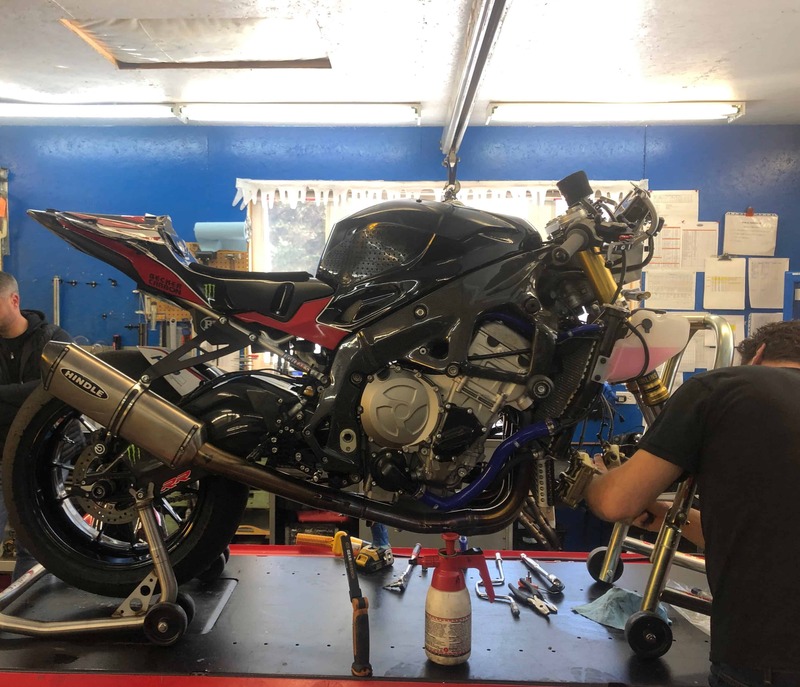 Street bikes can get away with a fluid change once a year or sometimes longer (check your manual), race bikes should see fresh fluid every other weekend. The second culprit to spongy brakes is air trapped in the system. Hydraulic fluid is 99 percent incompressible, while air on the other hand is very compressible. So, when you have air trapped in your braking system, your lever needs to travel that much farther to squeeze all the air bubbles, before generating the same system pressure required to slow you down. Many mechanics use a vacuum bleeder when servicing brakes. The bleeder is used to pull the old brake fluid out of the calipers while they constantly top up the level in the reservoir with fresh fluid. This eliminates the chance of air getting into the system to begin with. If you do suspect air in the brakes, you can slowly crack open the bleed screws while gently applying pressure to the brake lever. Bleed screws are placed high in the calipers to aid in venting off any air that is present. If you don’t have a vacuum bleeder, you can get a small sealed manual bleeder with hose and rubber adapters from Princess Auto or Canadian Tire for about $5.00. Use this device to capture the air / fluid as it squirts out, otherwise it will end up on some nicely painted surface or in your eye, both bad. There are a couple of famous places in your front brakes that trap air that no amount of manual bleeding will cure. First is where the top of your brake line joins the master cylinder. Depending on the design of your ‘master’, there may be a natural high spot at this intersection. Resist the temptation to crack the banjo bolt, as those washers only seal properly once. I find a quick cure is to unbolt the master from your handlebar and gently pump the brake lever while holding this high spot low. It usually involves pointing the brake handle skyward, but just imagine that you are an air bubble trapped in there and you can only go ‘up’. I typically move the master around while gently pumping the handle, and I try and look into the reservoir for the ‘victory’ bubbles. Do this for a minute or so to ensure you have all air out of the lines. Bolt the master back to your handlebar (proper torque and alignment) and you should immediately feel the difference. 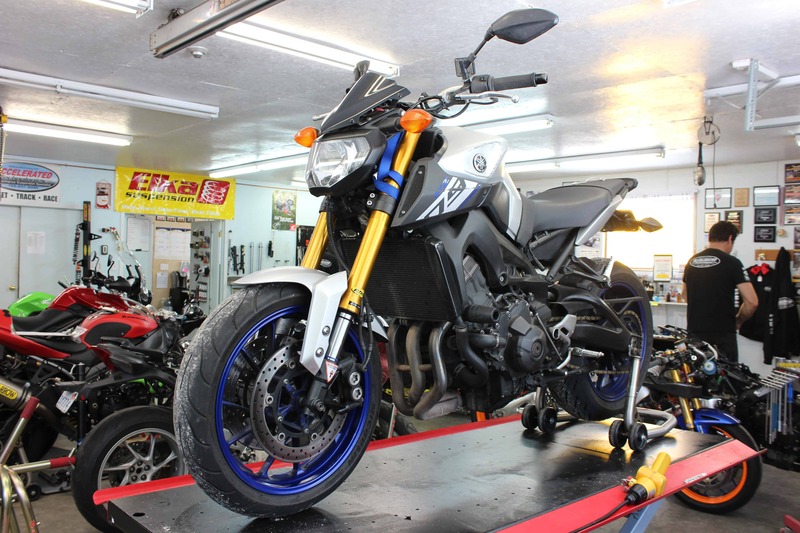 Another famous spot on a street bike is over the front fender. Some systems have just one line coming down from the master to the right caliper, then a joiner hose going over the fender to the left caliper. If you ever get air in that hose, you are have some work ahead of you. A good vacuum bleeder on the left caliper may pull this air down and out, but other wise you may have to remove the calipers and position them so that the air can go up to a caliper and get out at your next bleed. While on the subject of brake lines, I find stock rubber lines only last about a year. After that, they noticeably lose their ability to retain your pressure properly. So, instead of your lever generating useful pressure, it is swelling your rubber lines instead. A worthwhile upgrade is to purchase a set of braided steel or Kevlar brake lines to hold your system in check. Another less obvious reason for excessive lever travel (or spongy feel) is a warped rotor. Any warpage at all will simply push the brake pad away with every wheel rotation, which pushes the pistons back into the calipers. The next time you need the brakes, you have to move the pads a noticeable distance back out to get them to contact the rotor. Remember to always re bleed your brakes after the first ride (post service) as the vibration from vehicle travel usually prompts air to collect at the previously mentioned high spots. Remember, brakes are serious business, if you don’t feel confident with even simple bleeding, get it to a reputable bike shop, they will be happy to help you.